If you’re someone who loves the winter, I’m happy for you—but I don’t understand you. I appreciate a snow day as much as the next person, but shorter days, colder temperatures, and the overwhelming pressures of a “new year, new you!” mentality have soured me against every month before April. Since developing both acne and eczema in college, my skin agrees with me. The hot, dry air of winter heating is a many-headed monster—it completely zaps skin’s moisture, which can lead to both flakiness and breakouts across the face and body that are a huge challenge to treat simultaneously (and almost impossible to cover well with makeup). Many people who have otherwise great skin throughout the rest of the year fall prey to this winter skin, and for me, it makes my typical conditions worse. I fumbled through college without any real solution, pairing drugstore moisturizers like Cerave and Cetaphil with sporadic dermatologist visits that resulted in expensive prescription treatments: ones that I would quickly run out of and couldn’t afford to replace. It wasn’t until I started using Cosrx Hyaluronic Acid Intensive Cream ($22) that I was able to achieve dewy, balanced skin during the worst months of the year. 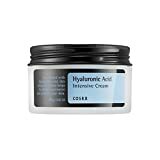 Cosrx Hyaluronic Acid Intensive Cream is more than meets the eye. What looks like a heavy, anti-aging night cream is actually a super-hydrating Korean moisturizer that can be used at night or in the morning, leaving skin plump, bright, and even. 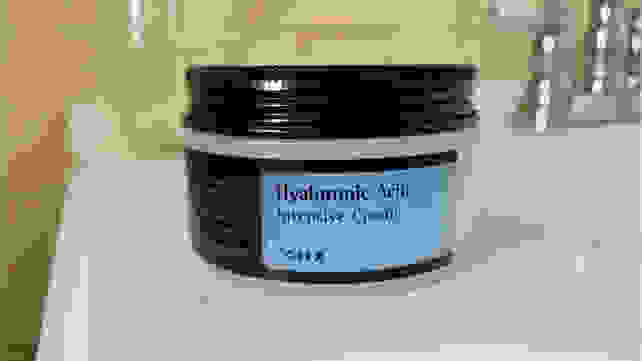 Its active ingredients are sodium hyaluronate and panthenol, which are both safe, non-irritating chemicals used to improve skin’s moisture and brightness. I first heard murmurs of this moisturizer’s greatness on the Reddit r/AsianBeauty, and after a ringing endorsement from Rio Viera-Newton at The Strategist, I decided it was time to give it a try. I've been using this jar for 5 months, and it's still half full! I started using it once nightly at the end of my skincare routine, but as temperatures dropped, I upped my usage to a light layer across my face both at night and in the morning—and it’s been love ever since. Where most face moisturizers fail, Cosrx’s cream strikes that perfect yet difficult-to-achieve balance between light and heavy. Its formula is rich enough to eliminate all flakiness on my face and the random dry spots I get across my arms, but not so oil-heavy to cause breakouts or a shiny forehead. The cream can remain sticky for a few minutes after application, but once you let it sink in, it makes a great base primer for foundation and other makeup. 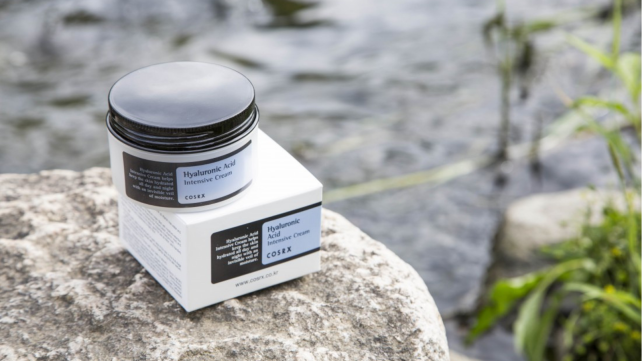 Cosrx’s cream strikes the perfect balance between light and heavy that most face moisturizers fail to achieve. Thanks to its thick consistency, a tiny bit will go a very long way—and because it's packaged in a jar (instead of a pump bottle), you can guarantee you won’t miss a drop. I’ve been using the same jar for five months, and it’s still half full! For $20, it’s hard to find a better value—especially when compared to high-end products like Clarins Hydra-Essentiel Silky Cream with the same active ingredients for twice the price. Who should use this moisturizer—and when? Because it's packed with hyaluronic acid that can retain up to 1,000 times its weight in water within skin cells, Cosrx’s cream is ideal for winter skin—but I’ve been using it year-round and seeing benefits in every season. If your skin and climate are anything like mine, using it once a day in the warm months and twice a day in the cold ones will yield the best results. In the summer, it can come in handy after skin-drying activities like sunbathing and swimming. As with any other new skincare product, you should spot-test the moisturizer and gradually work it into your routine before committing to it on a regular basis. Just because I like to throw caution to the wind doesn’t mean you should! While not everyone’s skin will react the same way to the same products, this acne-sufferer can say that Cosrx’s cream has worked wonders. It helps combat the dryness caused by my topical acne medications without clogging my pores and creating more breakouts. It’s easy for people with oily or acne-prone skin to forget, but moisturizers aren’t just for loading oil into your skin—they can actually balance moisture and help reduce acne. Acne-prone reviewers on Soko Glam agree: Carley E. says "I have super dry, sensitive, acne prone skin and this lotion really helps," while Causaundra L. says "It's very moisturizing and leaves your feel feeling spongy—I have sensitive, acne prone skin [and] I haven’t had any bad reactions." 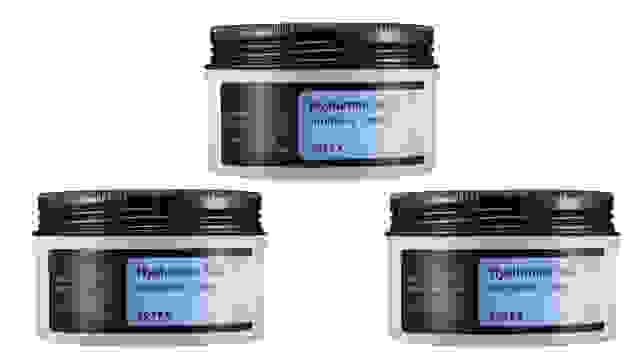 While Cosrx's cream can't treat acne, its active ingredients can really improve overall skin tone and texture, which are impacted for the worse by acne and many acne medications.